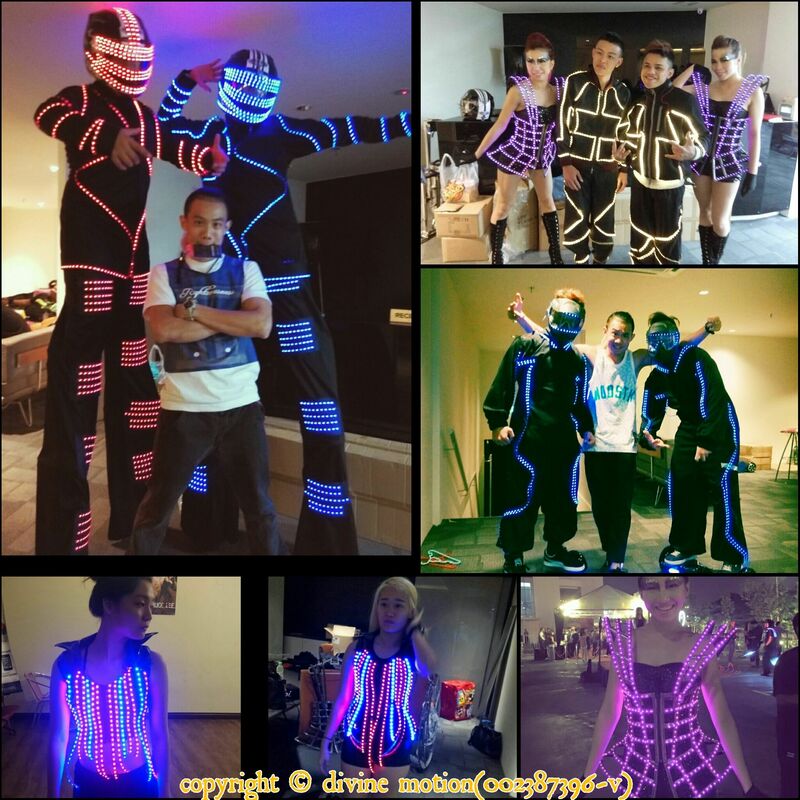 We have done various dance performance & choreography involving with EL (electroluminescent Lights) & LED suits ; for Company annual dinner, or launching events and event promotion roadshows. Included Dance performances with collaboration with laser lights and Light instruments. -Maybank Global CR DAY September 2015 and more. *Led customization are Hand-Made locally by skilled technicians and not ordered from abroad from other countries.